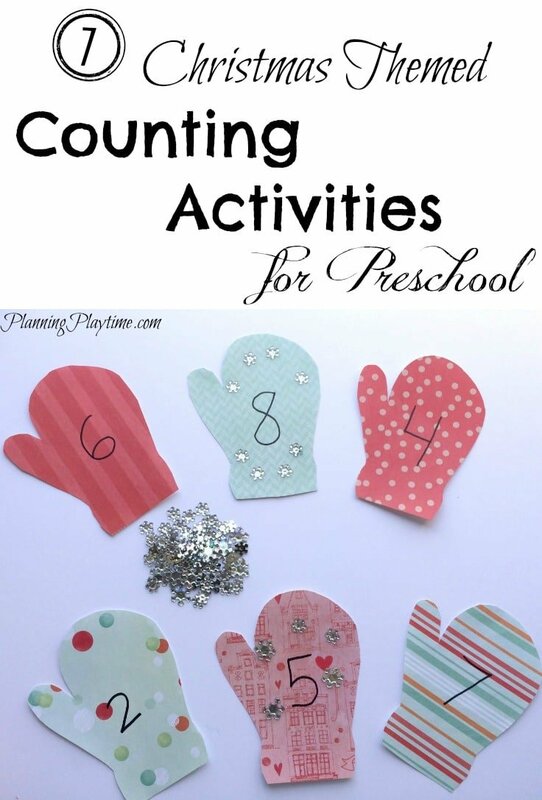 Counting is one of those things you just have to practice over and over again, but it helps if you can count something fun. 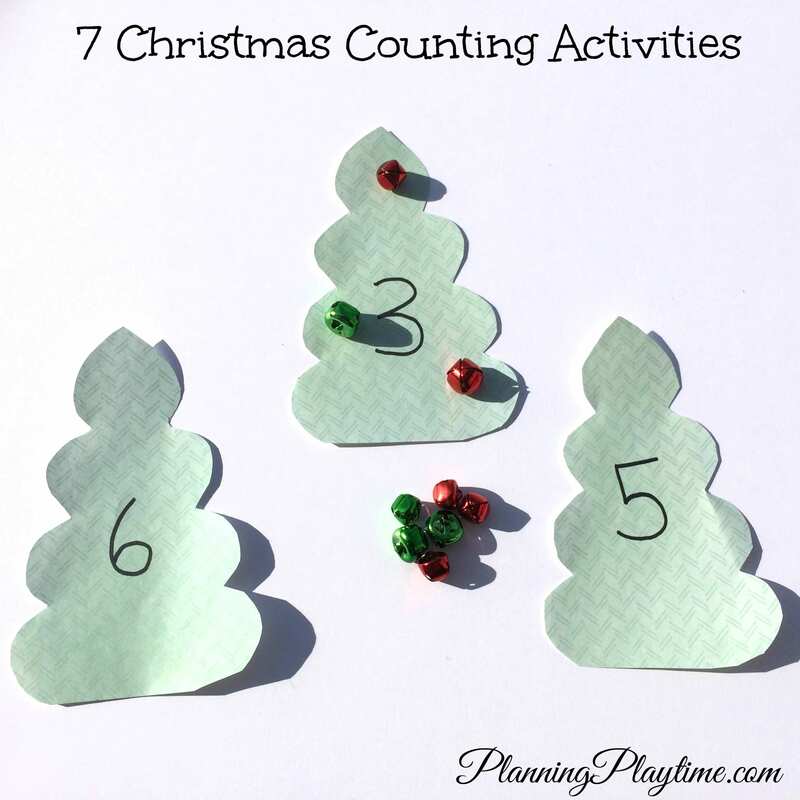 My 3-year-old son is working on his counting within 10, and so I came up with some fun Christmas counting activities for preschool age children. All of these activities are something you can create on your own, or purchase pieces for for about a dollar. You can also mix and match some of the counters with the objects they are being counted on just for fun. Our favorite activity was catching snowflakes on our mittens. I cut these mittens from bits of scrapbook paper that, let’s be honest, are never going to make it into a scrap book. Write numbers on the snowflakes for the children to count to. The snowflakes I picked up at the dollar store, and we loved them because they are sparkly and fun. You could also use cotton balls, circle cut with a hole punch, or other bits of paper. The kids count the right amount of snowflakes onto the mittens. You can cut out paper cups for this activity, but I prefer to just use the real thing. My kids love using actual objects to learn. We pull out our favorite hot chocolate mugs, and tape a number to the front. Then, using cotton balls, and occasionally actual mini marshmallows, count the correct number into the cup. This activity is very versatile. I cut out trees from, you guessed it, that unused scrapbook paper, numbered them, and let my preschooler count out bells onto the trees. Bells are just fun. They can be colorful, they make noise, and they’re little. This was a big hit at my house. I’ve finally figured out a use for those tiny bows you can buy at the dollar store. They are perfect as counters on top of Christmas presents. Of course I don’t actually let my son stick them to the boxes, but we count them onto the packages. You will want to wrap some old, empty cracker boxes for this activity so that you can number the presents. This is another counting activity where you can go literal or the paper version. You can also often find mini wooden or plastic candy canes at the dollar store that make fantastic counters. 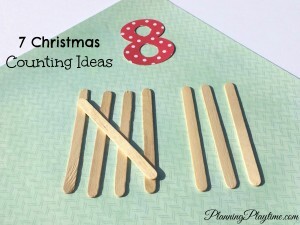 Pin a number onto the stockings, if you’re using the real thing, and have the children count the correct number of candy canes into the stocking. This activity works well at Christmas or any time of year. Just set out the numbers, and give the children a hand full of popsicle sticks. At each number, they must tally the popsicle sticks to show that number. Give the children a chance to fill up santa’s give bag. You can print and color a big red bag, or use a paper lunch sack. Number the bags. Then have the children color and cut out gifts to go in the bags. At each bag, they can count the correct number of gifts into/onto the bag. I hope you can use these ideas, and if you have any you would like to share, please leave them in a comment below for everyone to enjoy. 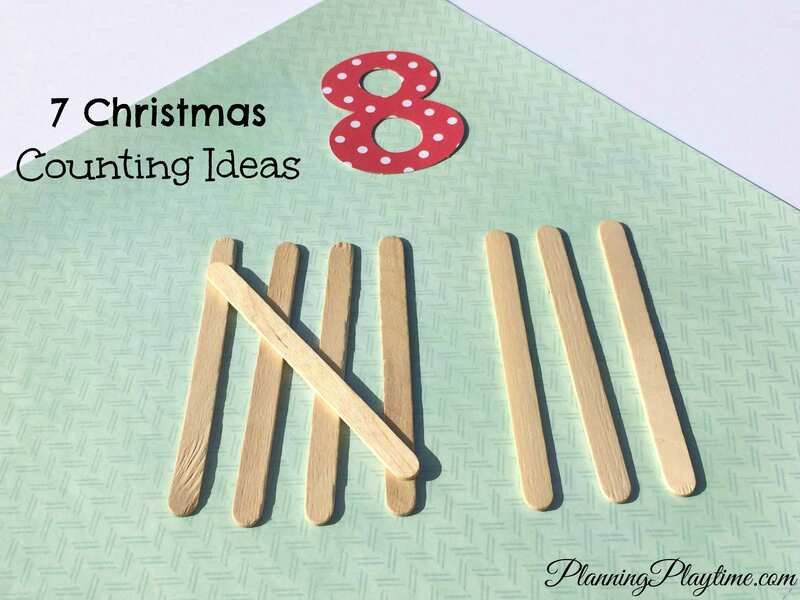 I LOVE how you use the popsicle sticks for tally marks. Just Brilliant!!! I’ll be doing that in my class very soon.